A black suit is stylish, but it can get boring. 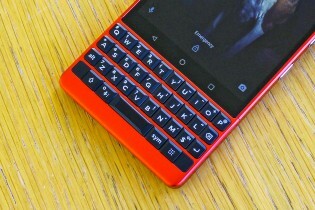 The BlackBerry Key2 Red Edition adds a pop of color to the otherwise serious business phone and it comes bundled with a matching pair of red earbuds in the retail package. The Series 7000 aluminum frame of the Key2 has been painted red, you can also see the color around the keys. It doesn’t go too wild, though, as it keeps the textured back (which is super grippy) as well as the hardware keyboard painted black. The Red Edition comes with 128GB of storage, previously only on the Dual SIM edition in black (which wasn’t available in North America) had that much storage. This one will launch in North America, Europe, the Middle East and Asia. 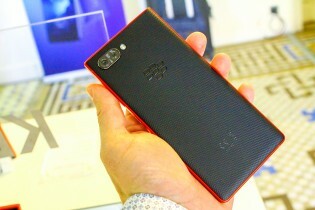 It costs $750/€750/£700, making it pricier than the €700 Key2 Dual SIM with 128GB storage. 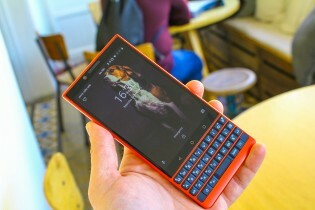 If you like the red but not the price tag, you can always look for a Key2 LE in Atomic red. It looks fairly similar (the front is mostly black rather than red) and is more affordable at $500/€430. 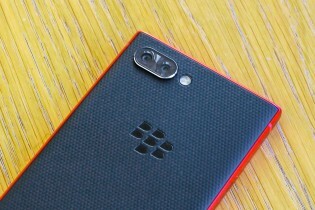 The BlackBerry Key2 has a faster chipset compared to the LE – S660 vs. S636 – with more RAM to boot, 6GB vs. 4GB. It has a more competent camera too, a dual 12MP shooter with a 2x telephoto camera, the LE gets a depth sensor as a second module. The battery is bigger (3,500mAh vs. 3,000mAh) and it supports Quick Charge 3.0. Starting today, the BlackBerry Key2 Red Edition can be pre-ordered across Europe from the official online store. Well that was long time ago. When i was a bit younger and went to disco every friday and saturday. Now when i am almost forty i am too old for that.